It’s official, school is out for summer!! How many mamas are going crazy because of this rain every single day?? 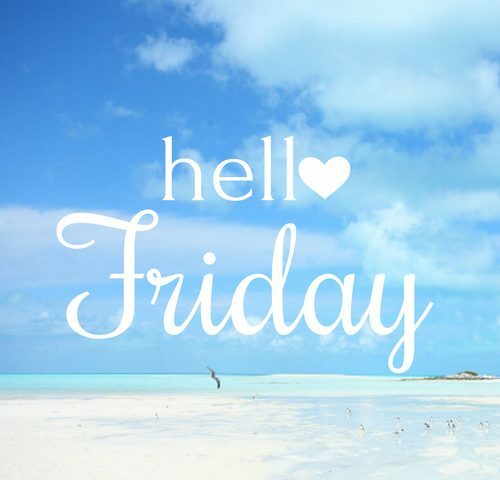 I am just waiting patiently for a nice day so we can finally get some pool/beach time in! I need to get my summer tan on. Alright everyone, let’s get into it…. 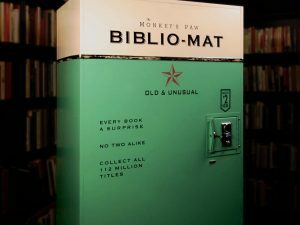 Favorite Book Nerd Invention: The Biblio-Mat is a random book dispenser built by Craig Small for The Monkey’s Paw, an idiosyncratic antiquarian bookshop in Toronto. Biblio-Mat books, which vary widely in size and subject matter, cost two dollars. When a customer puts coins into it, the Biblio-Mat dramatically whirrs and vibrates as the machine is set in motion. 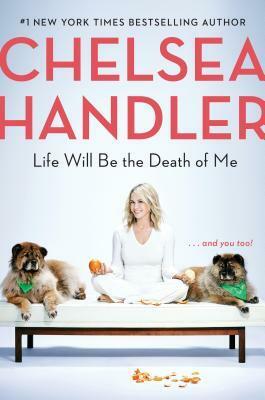 The ring of an old telephone bell enhances the thrill when the customer’s mystery book is delivered with a satisfying clunk into the receptacle below. I love this! Favorite Appetizer: My love of goat cheese knows no bounds. If I ever see something on the menu that has goat cheese I have to try it! It is in my top 5 favorite foods for sure. Naturally these Goat Cheese and Sun-Dried Tomato Crostinis are making me drool right now! So yum! Favorite Bath Accessory: I love taking a nice, relaxing bubble bath. There are so many bath tub caddy trays on the market but the ones from Royal Craft Wood blow all the other ones away. There is room for everything you would ever need. 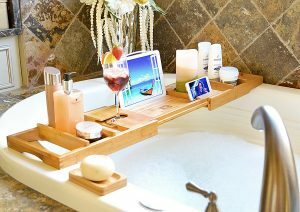 With this you will never want to leave the bathtub! Favorite Backyard DIY: Summer is upon us and it is HOT! 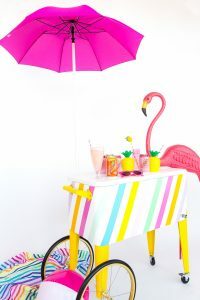 I was looking at an article about backyard DIY projects and came across this Summer Ice Cream Cart and thought it was an adorable addition to any backyard. Favorite Technology: A friend of mine posted about this smart coffee table called Sobro and this thing is pretty darn cool. Clearly an indulgent purchase but a great idea if you a. can afford it and b. have a technology driven lifestyle. It has a refrigerator drawer so you can store beer & snacks during a big game, two storage drawers, Bluetooth speakers, LED lighting, tempered glass top, touch controls, 2 USB charging ports, 2 power ports, and it connects to your TV via Bluetooth. Pretty awesome if you ask me! Favorite Sip: On a hot summer day by the pool there isn’t anything better than a refreshing adult beverage. Something fruity & tropical is always my go to during this time of year. These Strawberry Bottomed Pineapple Margaritas would definitely do the trick! Favorite Outfit: This romper from Bluetique is so cute and you can dress it up or down. Perfect little summer outfit.